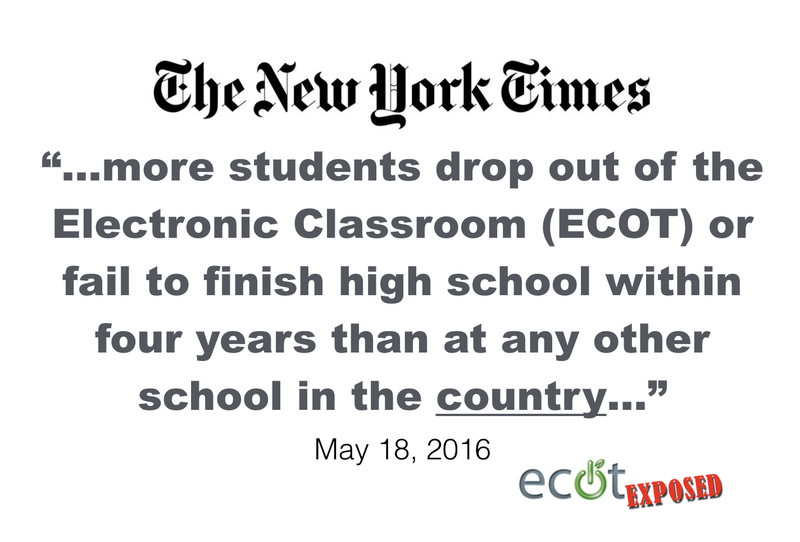 ECOT (the Electronic Classroom of Tomorrow) is a for-profit, cyber charter school, that is underperforming on state report cards and costing taxpayers millions of dollars. Will Ohio seriously investigate ECOT attendance records? The Electronic Classroom of Tomorrow (ECOT) gets about $106 million per year in state aid for about 15,000 students. Its founder, William Lager, is a top campaign donor who has contributed to many of Ohio’s state office-holders all the way up the slate. It seems that before the public was informed about ECOT’s attendance audit dilemma, a lot of political groundwork was stealthily put into place. In March, State Auditor Dave Yost’s office sent ODE a letter questioning the way officials there were conducting attendance audits of online charter schools and asking the department to clarify its standards for attendance audits. In May, David Yost called ODE one of the “worst-run” state agencies in Ohio and recommended taking regulatory oversight responsibilities away from the department. In early July, ECOT mounted an extensive campaign, including a lawsuit, to keep attendance records away from the education department. Now, ECOT and the State Auditor are coming together and questioning ODE’s demands to track online school attendance. Next Next post: Why would anyone enroll at ECOT? 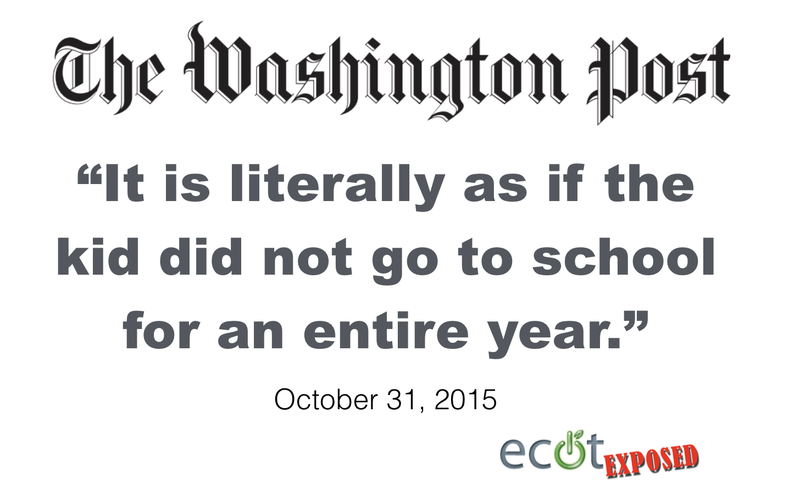 The Washington Post ran this story about online Charter Schools, like ECOT, with the headline, "It is literally as if the kid did not go to school for an entire year." School choice sounds good. Just make sure you choose wisely. How ECOT’s owner, William Lager, gets rich off of students and taxpayers. ECOT Exposed Blog at WordPress.com.